You have legal rights as a prisoner. If you are in prison, it is important to acquaint yourself with those rights and make sure your rights are respected. First, the United States Constitution provides rights that are available to you even if you are in prison. You are to be presumed innocent until proven guilty. The Eighth Amendment to the Constitution prohibits cruel and unusual punishment. When this amendment was initially passed, it was intended to preclude torture or extreme forms of death. The amendment has come to represent prohibitions against any type of inhumane treatment that is contrary to the prisoner’s human dignity, such as inhumane living conditions like rodent infestations, or inadequate toilet facilities. Assault by prison officials could also be an example of cruel and unusual punishment. Your federal rights continue regardless of your imprisonment. So if you, for example, have a disability, you are to be afforded rights according to the Americans with Disabilities Act. Furthermore, as a prisoner, you must be given access to the court system to complain about the conditions or the treatment you are receiving in prison. As a prisoner you are also entitled to due process. This means that if, as a prisoner, you are undergoing a disciplinary process, you are entitled to receive notice of the alleged infraction, and to view any evidence prison officials have against you. You may also be able to call witnesses and present evidence in your defense. Furthermore, as a prisoner, you are entitled to due process during appeals and access to a parole board. As a prisoner you are not to be subjected to racial discrimination. As a prisoner you are entitled to receive adequate medical care. 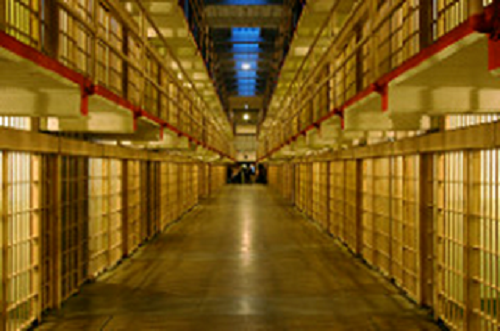 Prisoners are entitled to medical treatment for serious medical needs, including mental health. To prove this right has been violated, you must prove that the prison official knew of your serious medical condition and did nothing, or prevented the prisoner from realizing there was a serious medical condition. As a prisoner you are also entitled to the right to exercise your religion. While you do maintain many rights while in jail or prison, you should hire an experienced criminal defense attorney to give you the best opportunity of staying out of custody. If you have been charged with a crime or are under investigation, you need the representation of a skilled and trusted attorney experienced in fighting for your rights. To help make sure your rights are protected and to give you the best opportunity for a positive outcome, call The Maher Law Firm today for a free consultation at 614-205-2208 or contact us online.